Welcome to my Canva Resource Library, a free Canva training and resource program. This writing outlines the intended legal relationship between Nicholette von Reiche, LLC (the “COMPANY”) and you (the “CLIENT”). The writing (the “AGREEMENT”) is intended to govern and control your purchase of Clever with Canva Resource Library (the “PROGRAM”) from the COMPANY. 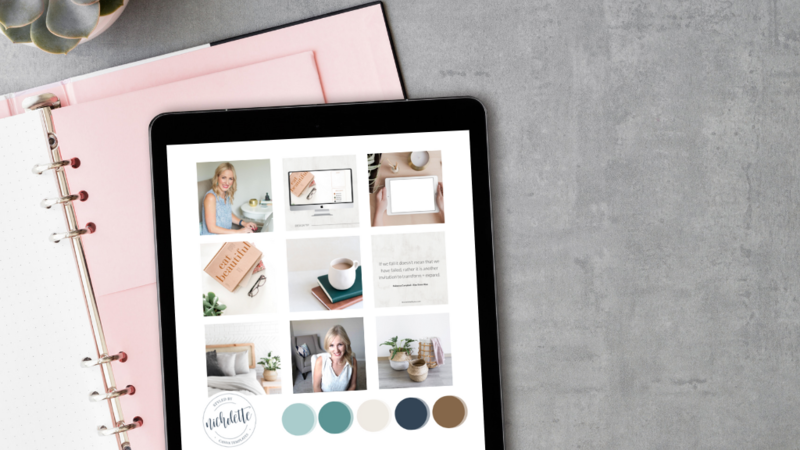 PARTIES agree that the PROGRAM is in the nature of educating you on the design program called Canva and gifting you resources like styled stock images. Canva is a registered trademark Canva, Pty Ltd. Client agrees that its use of the Company's Program, educating you on the design program called Canva and gifting you resources like styled stock images is conditioned on Client correctly tagging and providing attribution to the Company. If Client does not provide correct attribution (listed below), Client is committing copyright infringement and the Company reserves the right to take full legal action that it decides is appropriate. Correct attribution: Please credit image use @NicholetteStyles, or use #cleverwithcanva and #nicholettestyles. COMPANY’s copyrighted and original materials are provided to the CLIENT for his or her individual use only and under a limited single-user license. Client may not sell, loan, transfer, share or give the image to a third-party to use in any way, or claim the image as your own. ALL INTELLECTUAL PROPERTY, INCLUDING COMPANY'S COPYRIGHTED COURSE MATERIALS SHALL REMAIN THE SOLE PROPERTY OF THE COMPANY. NO LICENCE TO SELL OR DISTRIBUTE COMPANY'S MATERIALS IS GRANTED OR IMPLIED. By using COMPANY’s services and enrolling in the PROGRAM, CLIENT releases COMPANY, its officers, employees, directors, and related entities from any and all damages that may result from his or participation in the PROGRAM. The PROGRAM provides educating you on the design program called Canva. CLIENT accepts any and all risks, foreseeable or non-foreseeable arising from the PROGRAM. (b) 60% of purchase price. All claims against the COMPANY must be filed with the entity having jurisdiction within 90[TH12] days of the date of the first claim or otherwise be forfeited forever. CLIENT agrees that COMPANY will not be held liable for any damages of any kind resulting or arising from, including but not limited to; direct, indirect, incidental, special, negligent, consequential, or exemplary damages happening from the use or misuse of COMPANY’s services or enrollment in the PROGRAM. This AGREEMENT is governed and interpreted in accordance with the laws of the State of Colorado without giving effect to any principles of conflicts of law. The PARTIES agree to submit any dispute or controversy arising out of, or relating to this AGREEMENT to arbitration in the State of Colorado, Denver according to the rules of the American Arbitration Association. The arbitration is binding upon the PARTIES and their successors in interest. The prevailing party may collect all reasonable legal fees from the non-prevailing party in order to enforce the provisions of this AGREEMENT.